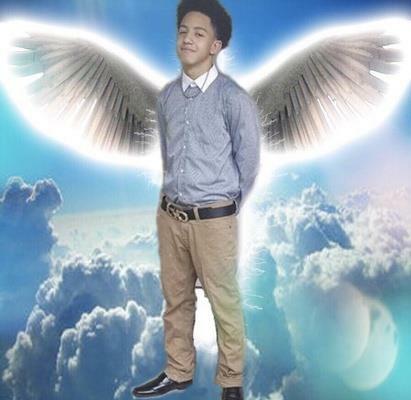 Jalon G. Johnson, 17, entered into eternal rest on Wednesday, August 29, 2018. Homegoing Services: Saturday, September 9, 2018; Viewing: 10:00a.m. - 11:00a.m. ~ Funeral 11:00a.m. Services TBD. Final Resting Place: Paradise North Cemetery ~ Houston, Texas. Get email updates about Jalon Johnson delivered directly to your inbox. Even though we never met, yet I knew u from a distance. Sending u a Peaceful rest Jalon and Condolences and Comfort to those that loved u the most. My Heart ❤ goes out to All involved. May our God be with u.
Jalon wished the best for me this summer , and I wish only the best for his family , yall are forever in my prayers, LONG LIVE CHINESE PURPLE ! As the days and weeks pass, and as you return to life's routine, may you continue to feel comforted by the love and support of family and friends. Continued prayers for you all!!! Never miss an update about Jalon . Sign up today.